Richard Branson, one of the world's most famous and admired business leaders, argues that it's time to turn capitalism upside down - to shift our values from an exclusive focus on profit to also caring for people, communities, and the planet as he writes: "People often associate me with challenges, with trying to break records while sailing the Atlantic or flying in a jet stream in a balloon or going into space with Virgin Galactic. But this audiobook isn't just about fun and adventure and exceeding one's wildest dreams." Are you looking to make a difference? Do you want to start your own nonprofit organization? Are you unsure of the necessary steps to take toward achieving your goal? 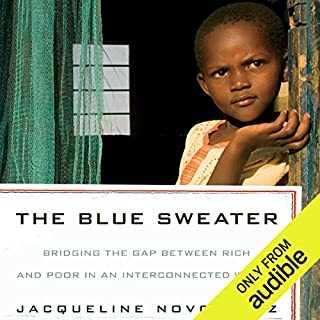 This audiobook makes starting a nonprofit organization easy. It doesn’t have to be complicated. This guide makes it fast and easy to form your 501(c) nonprofit corporation and get your organization started on the right foot. The aim of this guide is action. 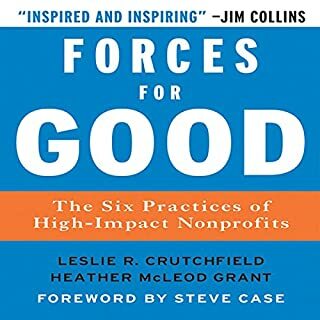 It gives you the knowledge you need to get your nonprofit up and running without making costly mistakes in the process, or being so paralyzed by the overwhelming nature of organizing your nonprofit that you keep putting it off. A Path Appears is even more ambitious in scale: nothing less than a sweeping tapestry of people who are making the world a better place and a guide to the ways that we can do the same - whether with a donation of $5 or $5 million, with our time, by capitalizing on our skills as individuals, or by using the resources of our businesses. In addition to his work as an entrepreneur, corporate executive, and consultant, for the last 16 years August Turak worked alongside the Trappist monks of Mepkin Abbey, watching firsthand as they undertook new enterprises and sustained an incredibly successful business practice. Service and selflessness are at the heart of this 1,500-year-old monastic tradition’s remarkable business success, an ancient though immensely relevant economic model that preserves what is positive and productive about capitalism while transcending its ethical limitations and internal contradictions. Adam Braun began working summers at hedge funds when he was just 16 years old, sprinting down the path to a successful Wall Street career. But while traveling as a college student, he met a young boy begging on the streets of India. When Braun asked the boy what he wanted most in the world, he simply answered, "A pencil." This small request became the inspiration for Pencils of Promise, the organization Braun would leave a prestigious job at Bain & Company to start with just $25 at the age of 24. 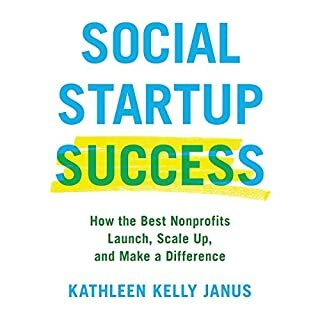 Using his unique "for-purpose" approach, he helped redefine the space in which business, philanthropy, and social media intersect. And a mere five years later, Pencils of Promise has now built more than 200 schools around the world, proving that anyone can create a movement that matters. 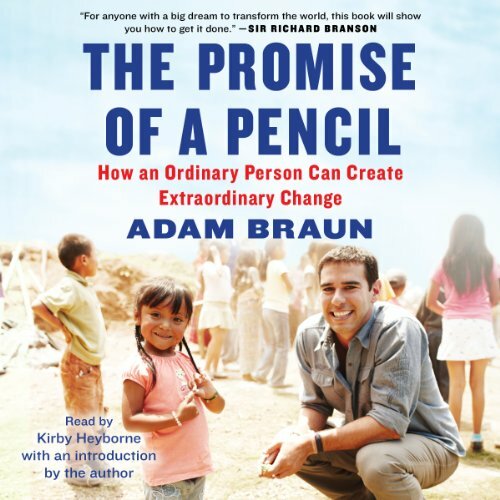 The Promise of a Pencil chronicles Braun’s journey through more than 50 countries to find his calling, as each chapter explains the steps that every person can take to ignite their own passion and potential. 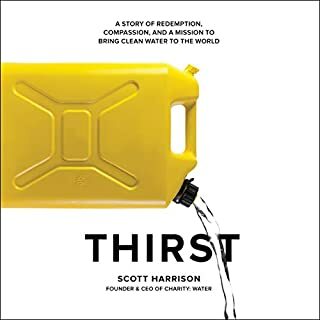 His trailblazing story takes listeners behind the scenes with business moguls and village chiefs, world-famous celebrities and hometown heroes. Driven by compelling stories and shareable insights, this is a vivid and inspiring book that will give listeners the tools to unlock their own extraordinary journey of self-discovery. If you have ever wanted a more purpose-driven life, if you have ever felt like you could become more than your current circumstances allow, it’s time to ask yourself, "What do I want most in the world?" And through the lessons shared in this book, turn those ideas into reality. Engaging, insightful and hopeful. I wish all people had the drive passion and determination to create this kind of change in our world. Ready to change the world! This inspiring story raises the bar in the readers to reach for their dreams and anyone can make a difference. Would you listen to The Promise of a Pencil again? Why? My favorite scene is definitely when the author sits down with his grand mother to tell her about the first school. We often hear about the plight of people in developing regions of the world, but seldom do people actually do something about it. Braun, to his credit, did something and launched Pencils of Promise, a charity dedicated to building schools in impoverished regions of the world. He takes readers from New York to Laos to Central America to Ghana and back again as he grows his charity. A hybrid of memoir, travel and business writing, the book tries to cater to multiple audiences. I had a couple of issues with the book. First, the subtitle usage of 'Ordinary Person' is a huge stretch considering Braun previously worked at Bain and Company as a business consultant before starting PoP and was Ivy League-educated at Brown. He may have started very small, but he used the business management skills he learned from Bain to rapidly grow his charity to where it is now. Second, the book has multiple sections that can come across to some readers as self-congratulatory. 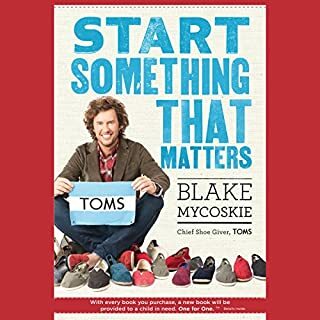 Despite the noted flaws, it's a good book about getting people involved in a cause. If it motivates people to donate to charities that operate in developing countries, than I'm thrilled. compelling had it been read by the author. My favorite chapter was the last when I could hear the compassion and drive in the author’s voice. That’s just not delivered throughout the book. Something gets lost. Thank you for your work! Have already ordered hard copy to read again! A young man with a big heart! A great book about a young man that discovers what life is really all about. He could have everything, the great job and make great money, but the promise of a pencil changed his whole life! Great book! Chills the whole way through! This is a hero’s journey all the way through. Beautiful story. This is my most favorite book, I had goosebumps the entire time. I too have been struck with my own purpose and the synchronistic events organized by what I feel and see is the divine trying to help it come forward, just as it seemed to do in Adams story throughout. Thank you. I’m telling everyone about this book! Great book with great life lessons! Absolutely loved this book. It highlights the way in which one single person can change the world for the better. Definitely worth a read and stick with it! Adam Braun takes you on a journey that is full of amazement and heart warming inspiration. What he achieved through an unrelenting belief in a purpose and slit of hard work is nothing short of incredible. I dare anyone to read this and not be touched and driven to want to join the movement! Thanks Adam, you have helped me see what it possible when you believe. A very engaging book following the full journey of PoP from conception to establishment. Nothing is left out from the initial feverous motivation to get PoP off the ground the the honest growing pains of realising maybe the idea is bigger than you. 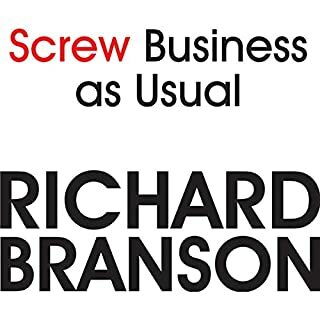 This book should be in any small business owners toolkit. The lessons of not being afraid to see help and advice is honest and heartfelt. I enjoyed listening to this book. The story was engaging and I loved the narrator. I could resonate with Adam's values. His journey in making a difference has inspired me to do the same. While I try to find my path, I will be coming back to this book to keep me going when I falter. Thank you, Adam, for a truly stunning story.